Ambitious Genetics Project Touted As Scientific 'Noah’s Ark' - Breaking Israel News | Latest News. Biblical Perspective. A new project described by its Smithsonian-based directors as the “most ambitious project in the history of modern biology,” will map the genetic codes of all 1.5 million known plants and animals. The researchers involved in the project hope it will be a scientific Noah’s Ark, enabling scientists to study species after they have gone extinct. Some scientists are less impressed by the project. Dr. Nathan Aviezer, a physics professor at Bar Ilan University who is a learned and devout Jew, emphasized that as the science of genetics stands right now, the project falls short of the original Ark as a means of repopulating the planet. Even at that more mundane level, the project is an impressive undertaking. At a cost of $4.7 billion, the Earth Biogenome Project (EBP) hopes to map the genomes of all the known species of plants and animals over the next ten years. Led by researchers from the Smithsonian Institution,the world’s largest museum and research complex, 24 scientists from around the world will take part in the project. Mapping genes entails identifying the chemical code of the DNA contained with the nucleus of the organism’s cell. Currently, less than 0.2 percent of the Earth’s species have been sequenced, and even when complete, the project will not have mapped them all. There are an estimated 10 to 15 million species that are currently uncatalogued and will not be included in the EBP. Most of these are single cell organisms and small insects in the oceans. The project is a continuation of the Human Genome project completed in 2003 which succeeded in decoding the human genome. That project, focusing on one species, took fifteen years and cost $3 billion. John Kress, a research botanist for the Smithsonian Institute who is helping to run the project, explained some of the motives behind the ambitious project. In addition, the project would serve as a scientific Noah’s Ark, preserving the genetic knowledge of species for studying after they have become extinct. Rabbi Avraham Arieh Trugman, director of the Ohr Chadash Torah Institute, had reservations about the project, suggesting that the resources might be better used in different areas. 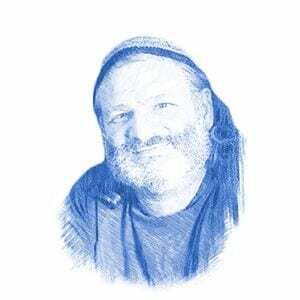 “Before worrying about creating a future Noah’s ark through genetics and cloning, the human race should take the many positive steps available politically and environmentally so we wouldn’t have to worry about how to cope with global destruction,” Rabbi Trugman told Breaking Israel News. Rabbi Moshe Avraham Halperin of the Machon Mada’i Technology Al Pi Halacha (the Institute for Science and Technology According to Jewish Law), did not believe it was a religious imperative to create a Noah’s Ark to save species from extinction. Rabbi Moshe referenced the Prophet Hosea as the source for his shocking prediction. Less than 100 years later, Rabbi Moshe Darshan’s prediction came true when Nazi Germany instituted concentration camps for its genocidal Holocaust against the Jews. The EBP has attracted criticism from religious circles for more than just copying Noah’s Ark. Researchers are now experimenting with editing genes, and gene mapping is a part of that process. Critics claim the scientists are playing the role of God. Professor Aviezer is less concerned about this aspect of the research and believes that it can lead to a love of God.